This year, Time Magazine released seven cover versions for this special issue. 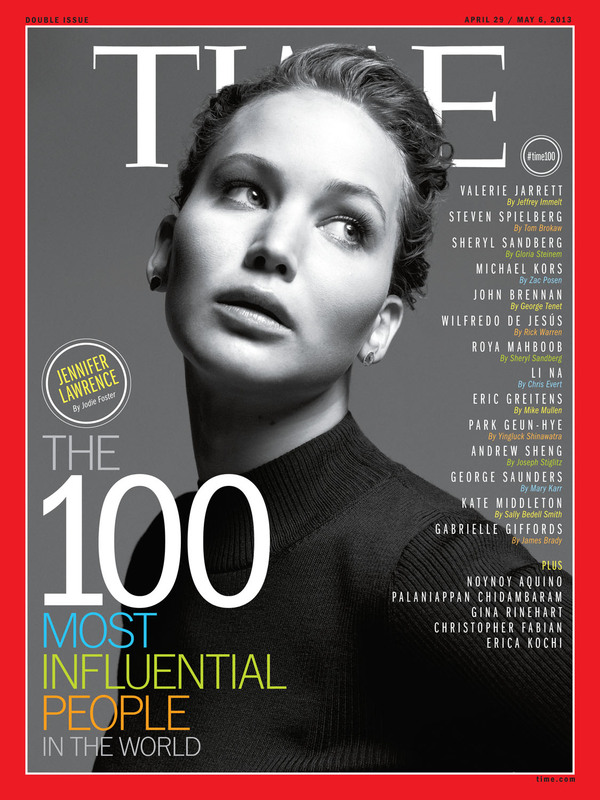 Although included in this year’s Time 100, the United States-based magazine did not use Aquino as a cover image. Instead, one of those featured is 23-year old Hollywood actress Jennifer Lawrence (see below). She last year gained critical acclaim for her leading role in the movie Hunger Games. Note that President Aquino’s name can be seen on the lower right side of this particular cover. The photo from the Showbiz Government FB page actually contains clues that it’s just a parody. First, The Time Magazine logo is printed in white, not yellow (yellow, as we know, is a color forever associated with the Aquinos). Then, the image of Aquino used is a ridiculous one (although Newsweek did do that to then-Republican presidential candidate Michele Bachmann back in 2011). 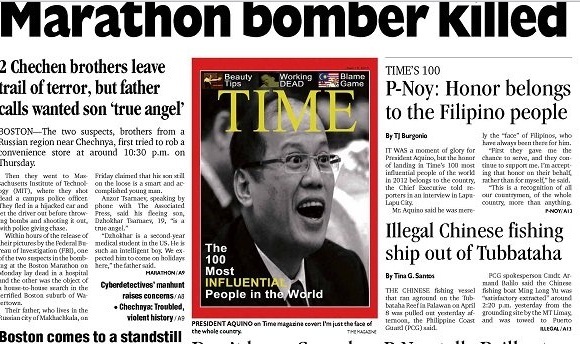 And lastly, why exactly will Time magazine use Aquino’s image in the cover for this issue? Is he more influential than say, Barack Obama? This episode will surely be discussed in journalism and mass communication classes in the months and years ahead. What happened to the good editors there at Inquirer? Can’t they pay a quick visit to Time.com just to verify this cover?